It's that time again, dear readers, for the North American Nintendo Download Update. This week brings a few new download-only titles to the Wii U and New 3DS eShop platforms, along with some varied and tempting Virtual Console options. With a couple of themes and a re-branding of an evergreen title also included there are a decent number of options to consider; let's get to it. Missed the European Nintendo Download Update earlier in the week? Dry those eyes, you can catch up right here. Teslapunk (klutzGames, $9.99 / CAD$11.99) - This has the look of an old-school vertical shoot 'em up, as you fight off an invasion from Mars "led by Emperor Zangórax, who back on Mars is a popular DJ by night and a frantic invader by day". Fair enough. It looks rather promising, and beyond a six stage campaign it has a survival mode; we'll blast away for a review. Bridge Constructor Playground (Joindots, $9.99 / CAD$12.99) - It's all in the name, as this game tasks you with bridge building across a variety of challenges. 32 levels are promised, with tutorials to help younger players and achievements (badges) to test veterans; naturally bridges have to be stable enough to handle cars and trucks, too. It seems to do exactly as the name suggests, ultimately. Metroid: Other M (Nintendo, $19.99 / CAD$28.19) - The divisive Wii action title makes its way to the eShop, adopting a 'space-opera' approach to dramatic storytelling while utilising the Wii Remote in a unique setup; you use standard controls for movement, then point at the screen for a first-person view. Some of the design and narrative choices caused a stir when it came out, and now you can relive the controversy; we actually liked it in our review. Fire Emblem: Shadow Dragon (Nintendo, $9.99 / CAD$9.99) - The first entry in the strategy series on DS, and it's also a remake of the very first NES game that didn't make it to the West. Another member of the rich RPG and strategy tradition on the last-gen handheld, we gave this a solid recommendation in our Fire Emblem: Shadow Dragon review. GALAXY BLASTER (RCMADIAX, $1.49 / CAD$1.99) - In this one you blast away at oncoming alien hordes from the bottom of the screen, trying to avoid too many misses or allowing any aliens to reach your base. Demon's Crest (Capcom, $7.99 / CAD$11.29) - Firebrand the Gargoyle features here, and needs to recover elemental stones before his enemy, Phalanx. It's dramatic stuff, and this SNES action platformer also gives you freedom in stage order along with some ability to explore. We liked it a lot in our review. Animal Crossing: New Leaf - Welcome amiibo (Nintendo, $19.99 / CAD$29.99) - This update to the original game has been available for free for a little while, though the updated retail release (branded with this new name and including the update right off the bat) launches today in North America. As always sales and discounts will be on the eShop and Nintendo's official eShop offers page; discounts this week include Brunch Panic, The Keep and Rorrim. That's everything for this week's Nintendo Download Update in North America. Let us know what you plan to download in the poll and comments below. Getting Shadow Dragon. The more handheld FE I can play on my tv, the better. OTHER M IS FINALLY HERE!! DREAMS REALLY DO COME TRUE!!!!!!! Shadow Dragon. Finally. Europe's had it since, what, 2014? More like Other Mmmmm, NO. Nothing for me. Still have the disc version of Other M, so I don't need a VC version. Still have New Leaf and the update, so I don't need to rebuy that either. I don't care for the other games. $19.99 for Other M? hahahahhh!!! I couldn't sell my retail copy on ebay for $5. I wish the Wii Fire Emblem would appear on the VC. Or was that a GCube game? Either way, I'd love to buy the console versions. DS looks hacky as hell on my huge TV. They gotta to be me metroid other m was on sell at Walmart for 5$ dollars I saw about 15 -20.copies. no introduction price? rip off. mertoid trilogy was 10 buck intro price Nintendo step up your game on sale prices. ! You're just now getting Shadow Dragon? Huh. The Wii U port was a real disappointment because I thought you could play it on the tv, but the screen becomes so small that you can barely even see it. OR you can make the screen big but then its on sideways... because that makes sense. If anyone is planning to download that game, note that the gamepad is pretty much the only decent way to play it. I guess I have to play Shadow Dragon again. Great game. I'm still doing the GBA one there - Sacred Stones. Queue the hateful comments towards Other M.
@IbangangryNsmash No profanity, and that includes the partially-censored kind, thanks. I'm happy to see Demon's Crest, and I will be downloading it when I get home, but---I'm really hoping that other (surviving) third parties from that era step up to the plate and deliver something. Where are Natsume and Square Enix? I did notice that two Squaresoft SNES games were released for 3DS in Japan, so there is a chance. I'm just really hoping that it doesn't end up being supported by three companies alone. Demon's Crest is a great game but man it's tough. For those interested in Metroid: Other M, it's pretty common in bargain bins for around $5. My local Gamestop for example has about 5 used copies of it due to it being a... fairly common trade-in. It's not really a bad game, but go in expecting an action game, not a Metroid game. Nothing. As much as I loved Demon's Crest, I don't know if I want to buy it again on my New 3DS, let alone my Wii U. Nothing wrong with it, but after all that I went through in that game, I am content with going through it once. @IbangangryNsmash Check the Community Rules before posting, thank you so muchly. If you have issues with how we moderate the site, use the contact form. @IbangangryNsmash Really, trying to report a mod for doing his job? You're looking for trouble you know that right? Demon's Crest, yes! That and Pokemon Sun will be the last games I buy before the Switch launch. Demon's Crest! Excelent. Will surely get it. @IbangangryNsmash How about we just ban you then. If you're asking me where to find the rules, look about one centimetre below the reply box, or just click here. @IbangangryNsmash ...You used profanity, it's against the rules, deal with it. @IbangangryNsmash From the Community Rules: "If you have a bone to pick with us, we welcome your feedback via the Contact Form, but hounding our staff via comments, forum topics, messages sent via e-mail, via other websites or other social media will not be tolerated.". I've asked you to use the contact form. You've continued to post comments about nothing other than our moderating, which disrupts the topic, so they've been deleted. Are you going to fall in line, or are you out of here? YES!!! FIRE EMBLEM SHADOW DRAGON!!! Dreams do come true! And it's great that we finally have Metroid: Other M, but physical copies are cheaper, so that's how I'll buy. Yes we finally got Demon's Crest on the go, this game deserves my perfect score. Demon's crest for my new 3DS?! Other M is tempting - I will wait until there's a sale to get that one. Otherwise, nothing for me this week...back to Xenoblade. I wish they'd release the remake of Mystery of The Emblem, far better than Shadow Dragons remake. Radiant Dawn is a Wii game. You would think Nintendo Of America would see how much used copies of the game sell for and work to get it on the VC. Surely they learned a lesson when Earthbound sold so well? Even at $19.99 it would sell a ton. I would love to play since I missed out on it on Wii since by the time I got around to it was already overpriced online and at Gamestop. Other M is a great game had lots of fun with it especially on hard mode. Shadow Dragon is a not so good remake of the original FE I advise anybody to get the Gba games instead. Nintendo and their crazy eShop pricing strikes again. 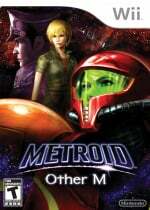 $20 digital copy of Metroid: Other M or $5 physical version? Such a tough decision. Good thing we have RCMADIAX supporting the powerful New 3DS with their TOTALLY original games. Not a great week, but I don't get paid until next week anyway. It is what it is. Best week in quite awhile. Fire Emblem, Demon's Quest. Not gonna lie, even both WiiU eshop games sound promising, hope they review well. @SLIGEACH_EIRE I wish we could get some of the rarer Wii games. Xenoblade being liberated from the clutches of Gamestop was nice, but what about Fire Emblem: Radiant Dawn, for example? I wish DS VC games worked wirelessly with other DS systems... One of my favourite things about Shadow Dragon is the multiplayer. I think I prefer it to all other FE multiplayer modes. Fog of War and having to capture and hold an objective is pretty fun. That's alot of good games this week. Sweet! Demon's Crest! I was just playing Gargoyle's Quest 2 this week and wondering if I could ever have the full trilogy on my 3DS. 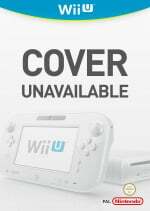 Does anyone know what the Wii U gamepad support is for these games? It says they require wii controllers, but also support gamepad. Is the gamepad an input method or just a screen to play on? I'll just wait and see what's on sale. Nothing for me, cmon Nintendo there's other VC other than SNES either release them in some fashion for older models or be fair about it and release some NES and Gameboy too. Nothing this week for me, just waiting on Zelda Breath of the Wild to come out on the Wii U from nintendo. Other than that I will be working on my backlog of games on my Wii U and xbox one, and soon to get ps4. @BaffleBlend July 2015, you can really see how NoE focused on the VC in the early years and then completely ditched it recently outside of 1 or 2 games a month meanwhile NoA waited until the retail games were out and then massively pushed VC for the remainder of the Wii U's lifespan. I would only recommend Shadow Dragon after playing the GBA titles, it's a great game IMO just not as good as the others. A bit unrelated, I always liked The Sacred Stones for having more levels with monsters instead of human armies all the time and Shadow Dragon is just pure army full time until the final boss. Whole lot of nothing this week. Why does nintendo insist on making i so hard to be a digital gamer? I want other M simply for the sake of completeness, but $20? And the inevitable mynintendo 30% off just won't cut it with this game. Anything less than 50% off is unacceptable for this game! Seriously. They want the switch to be for mobile gaming, but if they pull this bull with digital games on the switch, I'm just not gonna get it! I don't want to have to carry cartridges in case I feel inclined to play a specific game with friends on the fly! I disagree physical carts are the way to go saves space on memory and when the service ends and you lose your digital games you can still play them. Going to get Shadow Dragon for sure! Other M was sold at Best Buy for $8.99 for about a year so this is a ripoff. If I had more time I would probably play Fire Emblem Shadow Dragon. As it is though, nothing for me this week unless I decide to boot up Animal Crossing again for the 700th time. @Joeynator3000 I actually thought the controls were great. I really appreciate how unique they are and wish there were more games like that. But I also enjoy Trilogy with the nunchuck a lot too so I wouldn't say more of that wouldn't be great as well. The pixel hunts were like having a hand with an extra thumb haha. Definitely don't need more of that ever. I'll be picking up Shadow Dragon, such a good game. Besides that, I'll be cruising through a couple of places for an NES Classic (lol) and general Nintendo swag for family gifts. I already got metroid other m on a disc so...... nothing for me! I've largely held my tongue this year as the crap has flowed unabated into the eShop, but it's December and I'm done. I really wish Nintendo would tell RCMADIAX to just go away. He gives indie game development a bad name and stigmatizes budget games. Every time I see the RCMADIAX name pop up, the gamer in me throws up in my mouth a little. The fact any money goes his way and reinforces his lazy and quite frankly offensive approach to the eShop is sad and disappointing. SHADOW DRAGON. Finally. I've been looking for a TRPG to dig into after finishing FFXV and this will work perfectly. Good stuff, but I have enough games to play at the moment. Hey! You know what I just realized? What happened to Nintendo Life Weekly? Where did that go? Your comment is in dire need of more likes. Aww, sweet! Definitely gonna pick up Shadow Dragon. Getting Fire Emblem. Demons Crest is amazing but I have it on Wii U already. I still have other M on disc. 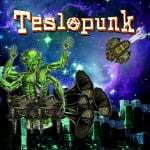 Is teslapunk any good? I love shooters. Wow... we finally got Shadow Dragon. @Pikachupwnage It's better than the tripe that Ninja Pig Studios farted out. I appreciate the effort to put Wii titles on the Wii U, though this can still be done by sticking a disc in it. Hoping Nintendo remembers all the NES, SNES and N64 gems still missing from the VC library. ....for Metroid or Fire Emblem? Sorry, meant Other M. I've never seen Fire Emblem less than $30 anywhere. I thought so but it was worth a try if I could grab those games for a decent price, I'd sure like that. $19.99 for Other M is absolutely outrageous. Gamestop is selling it for $9.99 and its trade in value for cash is $2.40. It's worthless. i came to read yer post. Themes are a fraction more desired than an RCMADIAX game. Demon's crest might be the most underrated game on the SNES the entire game is what Castlevania 2 tried to be. From it's great opening to it's gloomy atmosphere it combines the best of Megaman and Castlevania have to offer. While it might feel sluggish at the start you will soon understand why this game took a less speedy approach to progress as this game requires some planning it's not Ghouls 'n ghosts hard but still up there with the previously mentioned games. If you never played it and are a sucker for 16 bit action and love Capcom's 90's visual stylings with a hint of horror/goth this game is most certainly worth checking out on the VC as a cartridge, atleast in Europe, is a lot more expensive. Payed about 60 euros for it years ago and according to Ebay it can get a lot more costly.